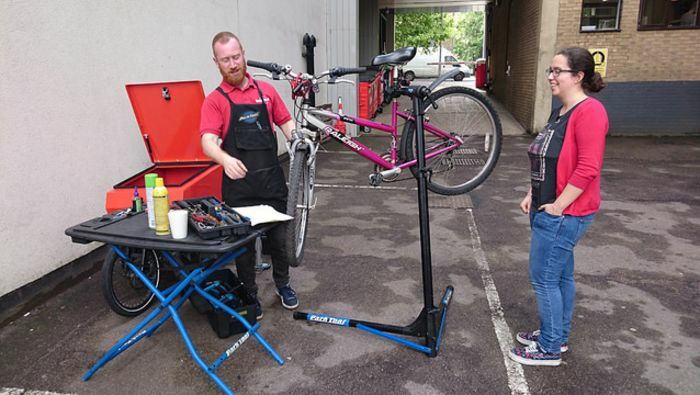 Our Dr Bike mobile repair sessions are a great way to promote cycling to staff and ensure they’re riding safe, roadworthy bikes. Regular sessions are also a great way to keep staff riding by quickly resolving issues such as punctures or worn brakes, rather than leaving the bike at home and taking the car instead. 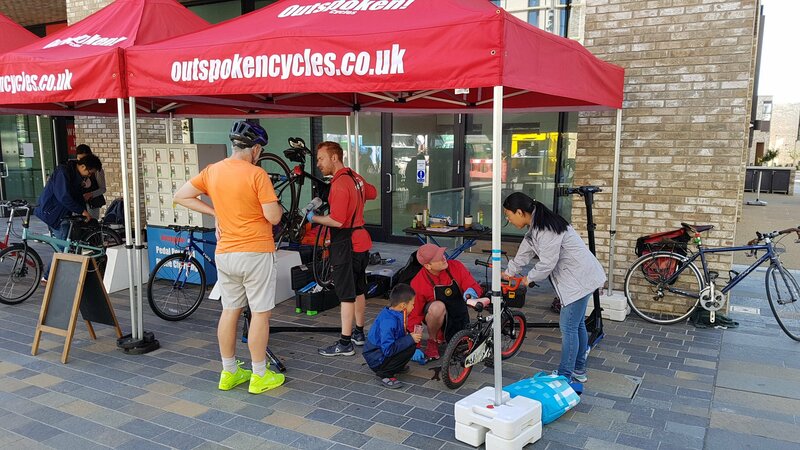 We offer options for single or regular sessions (eg weekly or monthly) where we come to your place of work – usually by specialist cargo bike – and setup our mobile workshop to service employees bikes. 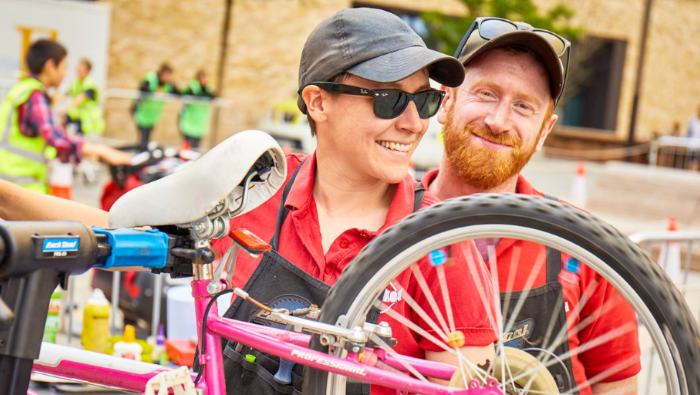 Every bike gets a 35-point safety check, and each participant receives a Safety Repair Report detailing all the work and recommendations for additional repairs. We ensure there is plenty of opportunity to ask our friendly mechanics any questions and employees are encouraged to watch them work and pick up any tips and advice. 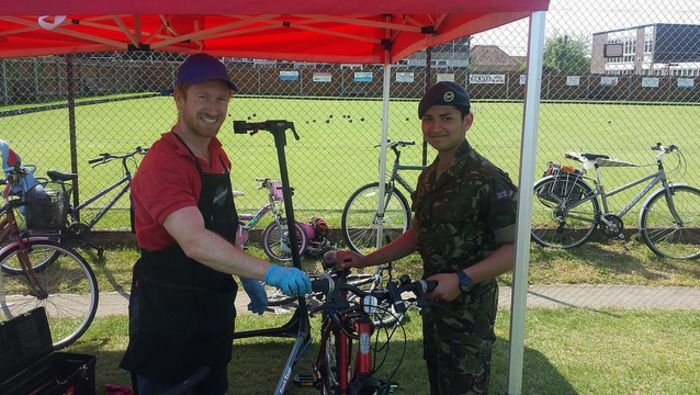 Our Dr Bikes are also popular at festivals, community events and fetes as a great way to promote sustainable travel, rewarding those who have made the effort to travel by bike. For more details including our brochure and pricing get in touch using the form below or give us a call.